L.E.T.S is looking for a few good teams! 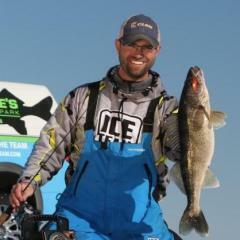 The Leading Edge Tournament Series is the official FishingMinnesota multi-species tournament league. Join in for this year's fun on the statewide trail! It's going to be a blast! Dues are coming in NOW and we have some openings! It's $300 per team for all 4 events. This is a great time and you just can't miss out.Get signed up now! We are fishing some of the best lakes in the state and have a lot of fun doing it.The series is set up for having a good time and having fun with your team members.BSing over camp fires and poking fun at your buddies.I have made a lot fo freinds and learned a lot about fishing for all kinds of fish from fishing these tournaments over the past few year.Get in now and have a great summer.The league is filling up but we do have room for a few more teams. BDR and I are joining up for the Metro league, looking forward to it!